Step out of Baltimore with an excursion to U.S. Naval Academy in Annapolis--about 42 minutes away. And it doesn't end there: try to win big at Horseshoe Casino, admire the masterpieces at The Walters Art Museum, explore and take pictures at Oriole Park at Camden Yards, and take a stroll through Fell's Point. Make your Baltimore itinerary with Inspirock to find out what to see and where to go. Washington DC to Baltimore is an approximately 1-hour train ride. You can also drive; or take a bus. In November, daytime highs in Baltimore are 57°F, while nighttime lows are 43°F. Finish your sightseeing early on the 10th (Sat) so you can drive to Ocean City. Kick off your visit on the 11th (Sun): take a leisurely stroll along Ocean City Boardwalk, then stroll through Ocean City Beach, and then let the kids burn off some steam at Planet Maze/Lasertron/Lost Galaxy Golf. 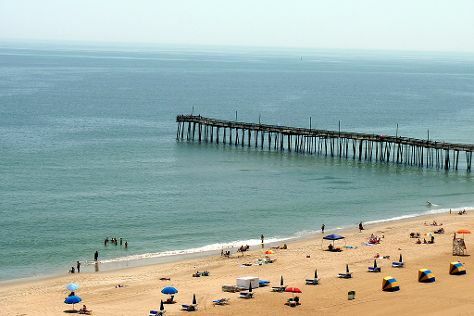 To find ratings, reviews, traveler tips, and more tourist information, read our Ocean City trip planner . Traveling by car from Baltimore to Ocean City takes 3 hours. Alternatively, you can take a bus; or take a shuttle. In November in Ocean City, expect temperatures between 57°F during the day and 39°F at night. Wrap up your sightseeing on the 11th (Sun) to allow time to drive back home.